I know it might seem a bit irrelevant to talk about Christmas after New Years Day but I thought I should get on record some of the things we did for Christmas in 2017 that I haven’t written about before. If you want to catch up on the other things we do to reduce waste at Christmas, read 10 Tips for a less wasteful Christmas from 2015 and A Crafty Christmas from 2016. The reason I didn’t blog prior to Christmas or about anything else for the past month, is because illness went through the family a couple of weeks before Christmas and I only recovered a few days before the big day. I’m glad I hadn’t left anything to the last minute. Prior to that, and since then, I have been enjoying my time with family and friends. Like, properly enjoying it without a phone in my hand to distract me. I even forgot to take photos on Christmas Day. There have also been many end of year commitments to participate in and a big shed clean out so that we could host Christmas lunch for 22 people. So, one of the things I’m happiest about, and which is getting a lot of use, is the table and chairs we had made from recycled pallets by Barefoot Pathways Transitional Training Centre; a non-profit organisation that upskills unemployed people through real work experiences. We asked for two 8ft x 3ft trestle tables with 8ft long bench seats but they had trouble sourcing enough long bits of wood, so we agreed on 4ft long bench seats. A few of our guests suggested we coat the wood but I really like it the way it is. You can see in the background of the photo that we covered a billiards table with a sheet and ran some greenery from the garden along the wall side to make it more festive. This is where we laid out all the food, cutlery, crockery, and glasses for people to help themselves. We ended up putting another sheet over all the food and turning on a fan to keep the flies away. Next to the billiards table is another table which I made a hessian table cloth for – I found the hessian sheets in one of the farm sheds so I washed it and sewed it together. On the table is a wooden Christmas tree painted with chalkboard paint which I found in the opshop for $3. We wrote ‘Secret Santa’ on it and each family left their secret Santa gifts there. It works out that each child gets one secret Santa gift if each family buys two gifts. Also in the photo is secondhand fairy lights, paper bunting, and red tinsel that we’ve had since our first Christmas together. Off to the right hand side of the photo, out of view, is where I set up labelled recycling and compost bins so that all the guest knew exactly what to do. On the tables are pine cones from down the road, homemade bon bons, and calico cloth napkins I found in the opshop and hemmed myself. To make the bon bons I used toilet paper rolls, jute string and wrapping paper which I bought because we didn’t have any paper to reuse. We’ve used up all the Christmas paper saved from years gone by and haven’t accumulated anymore because we’ve been using only reusable cloth and paper bags for the past few years. I could have used newspaper or toilet paper wrap but I actually really wanted something that looked Christmassy and would work well. I looked everywhere for package free bon bon snaps but couldn’t find any so I settled for recycling the packaging they came in. Finally, Ainsley and I wrote daggy Christmas jokes and made chocolates (not the prettiest chocolates you’ll see) to put inside them. It turned out to be a rather time consuming project for 22 people but they were a big hit with everyone. Below is a photo of our reusable decorations used in the house, of which a large chunk are homemade, recyclable and biodegradable. In terms of drinks, everyone bought their own alcoholic beverages and I made natural sodas (ginger beer and lemonade) as well as having cold water available. For food we shared the load with each family bringing something, but for the dishes I prepared, I used a lot of our own produce and meat, some staples I’d bought in bulk and some things in recyclable packaging. Some of that was plastic as I bought a 4 litre tub of icecream which I’m now using as an additional trough in the chook yard and a 600ml tub of cream. I don’t think I could have had homemade and homegrown rhubarb and strawberry crumble without them! ;-). There was also packaging to recycle from gift giving. We gave some experience gifts, bought some things second hand so there was either no packaging or no new packaging, and also bought a couple of highly desired new ‘things’. 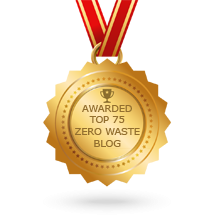 I learned a lesson last year that there is no point giving someone a zero waste gift if they do not want it. You see, I tried really hard last year to ensure Santa was zero waste whilst still giving things I thought the children would like. I was kidding myself. The kids were severely disappointed and not interested in any of it. The things have barely been touched for a year – which is a waste – and it was the nail in the coffin for my son not believing in Santa and raised serious doubts in my five year old (now six). Given that we only give a few gifts, I now much prefer to give them (and other people) something I know they will treasure whether it’s zero waste, plastic free or not. If it is something they will treasure they will look after it and use it for a long time. It won’t be a waste of resources like my last gifts were, even though they were considered zero waste. I read in a post by Beth Terry that she thinks the most sustainable gift you can give someone is something they actually want and I think she is right. Here is a picture of my kids enjoying their Santa gifts which did include soft plastic. We will obviously take the plastic to Red Cycle. Well done Tammy. Another good post. Hope everyone has returned to good health. Best wishes for a safe, happy and healthy 2018! Thanks Nola. We are good now and looking forward to our holiday in just over a week! Happy new year to you too and talk to you again soon. Sounds like an amazing Christmas, and a lot of planning! 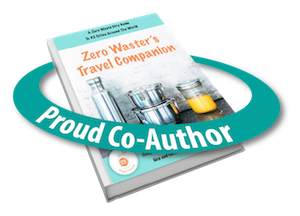 Love your honesty and about the zero waste gifts and giving things people will treasure. Thanks Amanda. It was great fun having my whole family together for the first Christmas in ages. Most people also stayed on for dinner and then stayed the night to hang out some more boxing day. Wow, that sounds like it was a great Christmas! I can’t imagine hosting 22 people :O Well done! 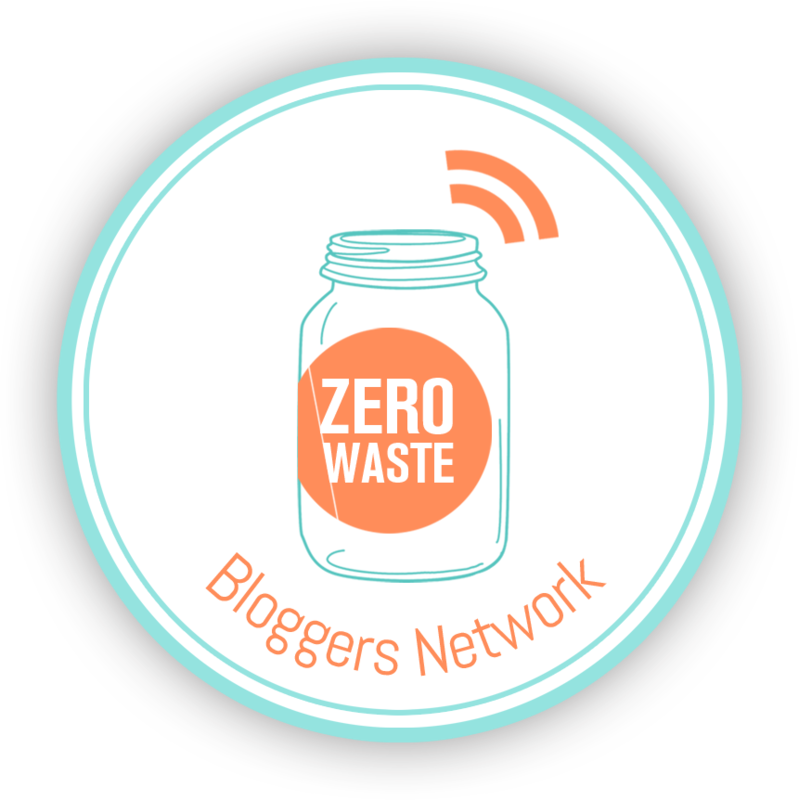 Great point about not gifting something zero waste to someone who doesn’t want it…for all we know they might be so disappointed that they put it in the bin afterwards, then it won’t be so zero waste after all! Thanks Lisa. I know, imagine that! Although, I think it’s fairly easy to give an adult a zero waste gift because we can choose an experience gift that they’ll appreciate. And most adults I know don’t want more stuff! But with kids, they’re still developing their interests and ability to do things so it can be harder to find something well suited, and for them to understand delayed gratification. Thanks for your reply Tammy! I noticed in your photos that you have an IKEA sewing machine. This year I’m planning on making my own ZW things from upcycled fabric, so I’m wanting to invest in a fairly basic secondhand one to make bags, handkerchiefs and maybe later some simple clothing items. I’ve seen a couple of that same model advertised on Gumtree so I would be curious to know how you find the machine, if you wouldn’t mind sharing any thoughts? Thank you! Looks like everyone had a great time. I love what you all are doing and living a simple yet practical life. You are so right about gift giving and that gifts should mean something. We have a Christmas tradition of giving each other three gifts. One is the gift from our hearts, anything handmade. like food or a craft. The second gift is our green gift, which is anything used or upcycled. the last gift is something brand new, but practical like shoes, or socks, something we really need. We have a recycling program here in our city for all plastics, we have two separate trash bins for this. Thanks for sharing this Christmas post, have a Happy New Year. Love the simple beauty of this 💚 it looks relaxed, natural and elegant. I’ve been sewing fabric bon bons for this year, which we can reuse along with fabric gift wrap we started doing last Christmas. What a shame about the kids gifts! It’s so disappointing when that happens, but great work! Love your ideas.